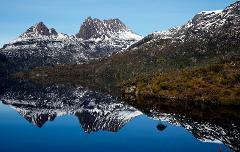 We further explore the wonderful wilderness areas that Tasmania has become famous around the World for. You will be amazed at the variety of landscapes that the West Coast has to offer! Come and join us on a wonderful, rewarding 3 day tour of Tasmania's fabulous East Coast.